CURRENT leads with the click of a button! Properties that are currently flagged vacant. Individuals/companies that own real estate, but do not live in it. Properties that are currently scheduled for auction. Properties owned by the bank (REO). Properties owned by a trust. Properties with at least 30% equity. Properties with less that 30% equity. Properties that were purchased for more than current value. Properties that have no recorded mortgage. 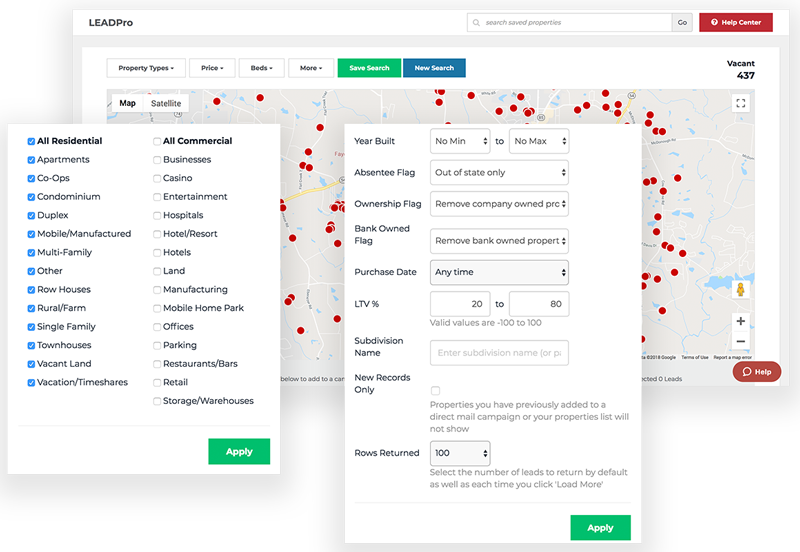 REIPro searches nationwide for individuals and companies that have purchased real estate using their own cash and have no loans attached to the property. Find the buyer, potential investor and/or partner for your next real estate deal. REIPro’s investor marketing postcards, scripts and materials will help you find and build that relationship. REIPro allows you to refine search criteria for a more accurate list of leads to match your buying profile. REIPro even gives you the capability to eliminate businesses from your results list... and so much more! 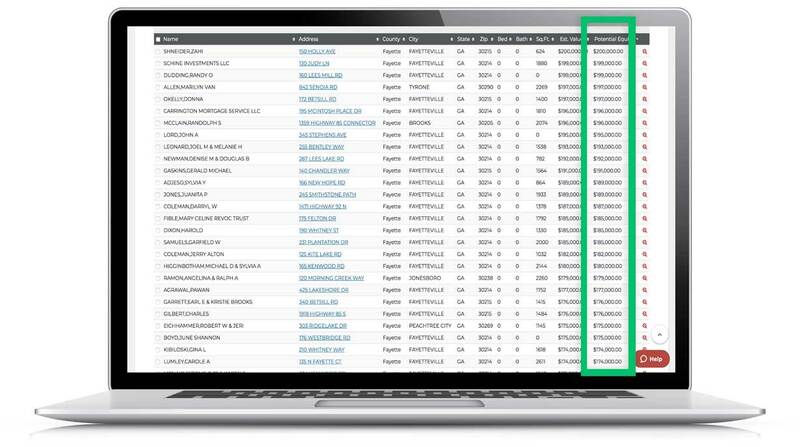 By cross-referencing original loan amounts and current market values, REIPro makes it easy for you to analyze potential profit in an individual deal. Want it even easier? Filter search to sort by potential equity! 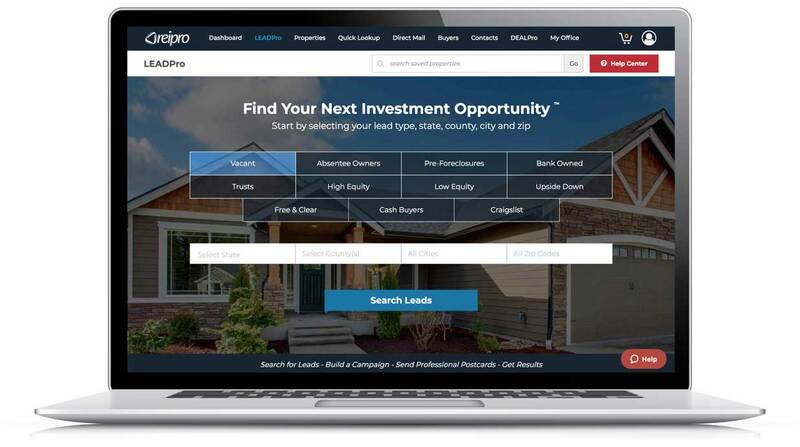 Generating leads is essential for building a real estate investing business. 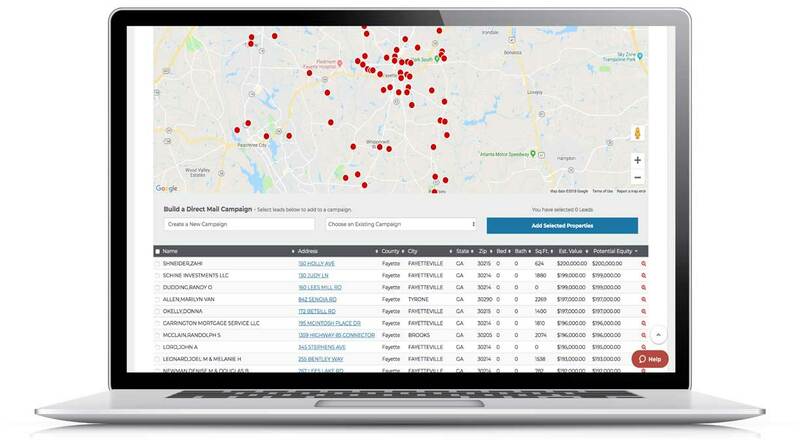 REIPro is always on the job, providing unlimited access to the most current leads across the country, researching county tax assessors and courthouse records and updating every morning, Monday through Friday.